Malden Reads is pleased to host a screening of the animated film “Kung Fu Panda” at the Ferryway School on Wednesday, March 27. Join us at 6:00 p.m. for light refreshments and a family arts & crafts activity led by the Malden Girl Scouts. Also at 6:00, Wah Lum Kung Fu & Tai Chi Academy will lead a mini kung fu performance and class. Families who cannot come by 6:00 can arrive by 6:30. All children must be accompanied by a parent. Rotten Tomatoes, a movie rating website, says 87% of critics like the movie, and the website describes the movie as follows. 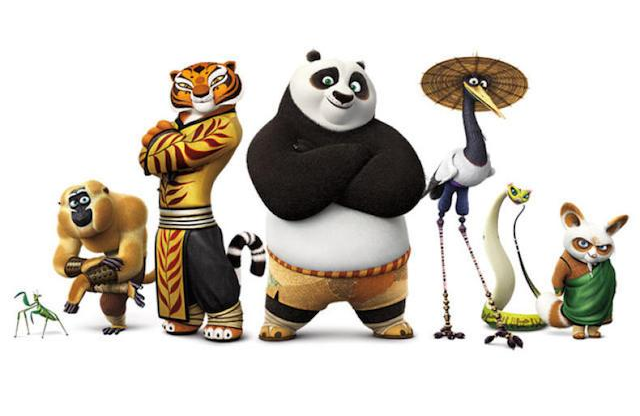 “A clumsy panda bear becomes an unlikely kung fu hero when a treacherous enemy spreads chaos throughout the countryside in this animated martial arts adventure featuring the voices of Jack Black, Dustin Hoffman, Angelina Jolie, and Jackie Chan.” The movie is recommended for ages 6 and up. We hope that Malden families will join us for a fun night!